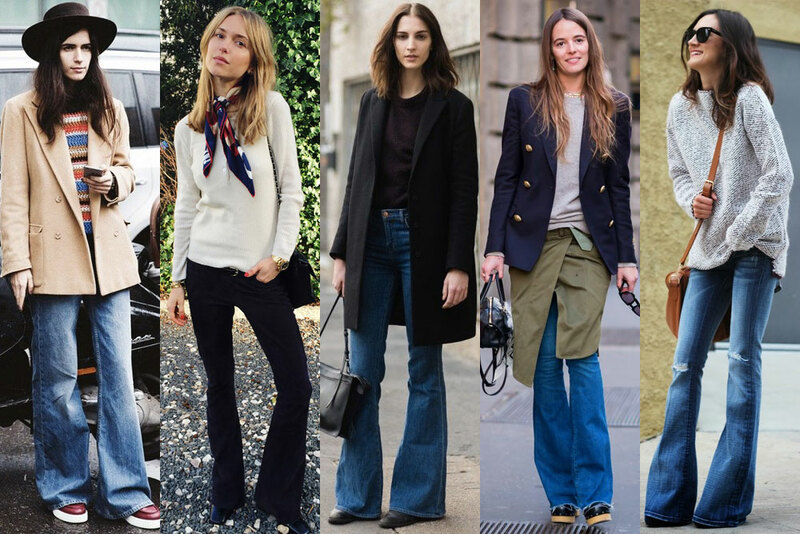 With the seventies back in full style swing, it was only a matter of time before the flare jean made its triumphant return. After years of the skinny jean reigning supreme, denim designers and the fashion Powers That Be have decided they have grown tired of wriggling their way into skin-tight denim blend jeans and are ready for a looser, more relaxed fit. The "boyfriend" jean has already taken the world by storm, with it's straight leg and loose fit, but now it's time for the flare to step into the spotlight. 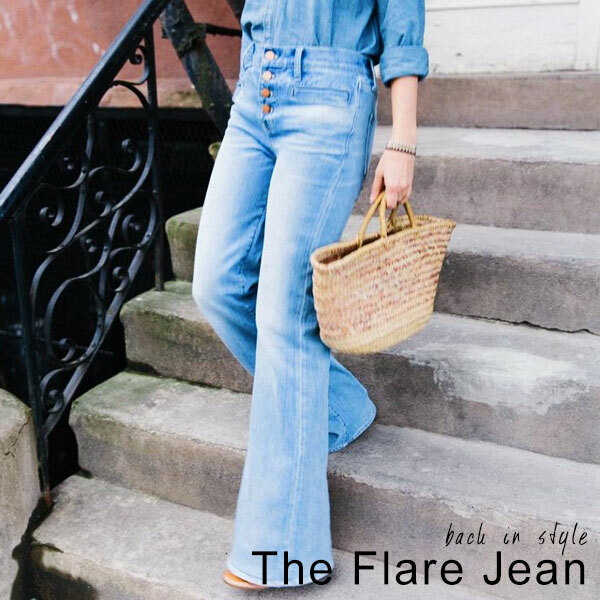 Flare jeans are at their best when they are high-waisted and perfectly fitted (flares should be fitted at the thigh and then fan out around the knee, or a little down past the knee for a subtler flare) and they do wonders to elongate legs. While lighter washes seem to be the go-to amongst denim designers—a light blue flare is most in-tune with the spirit of the 70s) I do love the darker-wash flares, like Pernille Teisbaek's midnight blue pair, for a modern spin. How does one style a wide-leg jean? Keep it simple with classic solids—T-shirts, sweaters, turtlenecks, blazers—and pair with vintage accessories. Think: silk scarves, big buckle belts, and felt hats. In terms of shoes, heels make for the best choice when it comes to flares, as they make sure your jeans are being shown off to the max. A heeled Chelsea boot or modern mule would look great with a streamlined flared denim look. If you must wear flats, I would opt for a trendy flatform pair to give added height. With a flared hem, adding height really is important; you don't want those beautiful jeans dragging around on the ground!